I&apos;ve never really had much experience with chutneys, I suppose tomato relish is the closest I&apos;ve gotten to an actual relish as I generally aren&apos;t a fan of the textures. I&apos;m more of a sauce kind of guy, but &apos;Chilli Peach&apos; did pique my curiosity so I thought I would give it a go. The first thing that is immediately obvious is the size of the product. 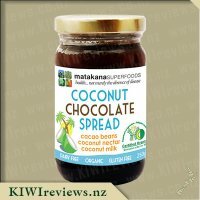 Looking at the price, $6.00 for 100 grams, I shouldn&apos;t have been surprise by the size when it arrived, but I generally expect a larger jar (maybe 300 grams or higher) so I didn&apos;t read the description properly (this obviously won&apos;t be an issue when buying from a store, but important to note if purchasing online). The jar was a bit difficult to open, the shape making it difficult for me to comfortably grip it enough to break the vacuum seal, but once opened for the first time, no issues. My main issue with the size of the product, is that I made one meal (granted it may be 2-4 servings for other people) and I&apos;ve used 75% of the product up already. 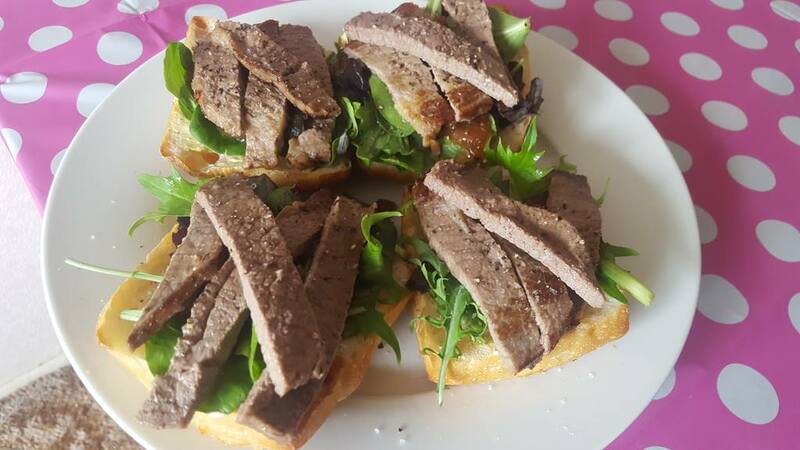 I made open top sandwiches with seasoned beef schnitzel and mesculin salad on top of a lightly toasted ciabatta bread. 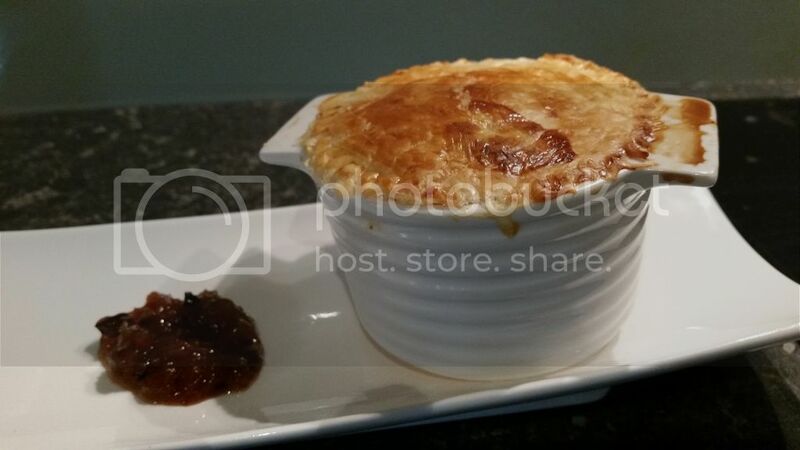 For this type of meal I would usually use caramelised onions as a form of moisture and sweetness, but this time I instead substituted that out for the chilli peach chutney. The chutney is quite chunky, and has some rather large pieces (one piece probably took up 8% of the entire jar), which did make it a little more difficult to evenly spread. The flavour however was very nice, and provided a sweet and savoury flavour that worked well with the beef and mesculin. The chilli flavouring doesn&apos;t really come out beyond providing a fullness to the flavour, as I found no noticeable spiciness or heat to the chutney. 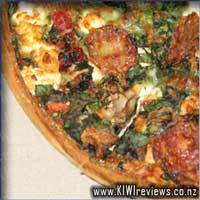 The texture didn&apos;t come across as lumpy, or in anyway unlikeable, and went down a treat. This would definitely be a product I&apos;d like to add to the shopping list, but at the moment, it&apos;s a little on the expensive side for how much you get (fingers crossed for larger jars in the future). Omigosh this little jar of chutney was insanely good my only problem with it was that the jar was so small. 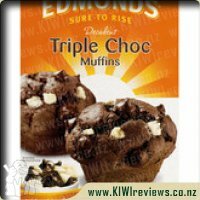 Where do I get more as this is something I could buy every week its just so good. I do love peach chutneys and the little hit of spice this chutney delivers just adds to the sweetness of the peach perfectly. The spices together with the chilli add quite a bit of punch so you definitely get a savoury hit. I wanted to use the jar wisely as I did notice it was quite small so to initially try the chutney we had it on crackers with some cheese. It was so hard not to just keep going the combination with the cheese was great however I wanted to save some for other things. The next thing we tried was as a sauce in a homemade chicken schnitzel burger. With chicken this chilli peach chutney works wonders it made our pretty plain burgers a little bit wow. I also really wanted to try the chutney with some red meat I traditionally don&apos;t pair sweet sauces with red meat but wanted to try it with this. I really liked it I only had a small amount of chutney left from previous uses but it works with a good bit of steak and couscous too so I could think of many meals I could serve this with and would be a great bbq condiment to have in the fridge over summer. I love the flavour of Peaches and decided to focus on this point when requesting this item. I have found so many items lately state they have Chilli in them and in most instances you can not taste or detect this fact so I assumed this would be the same case - boy was I wrong! There is something absolutely delectable about sitting down after cleaning and enjoying cheese and crackers when no one else is home. Or, sharing with my husband after the girls have gone to bed or on those odd occasions actually sharing with the girls. This past week has been cheese and cracker heaven enjoying with the amazing Chuntneys available from Castle Rock. Or enjoying on cold roast sandwiches - it has been devine I feel like I have been dining out a cafe all week as the flavours add another element to the dishes. Although this has been my least favourite out of the three I have still really enjoyed it. 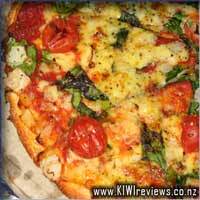 I do find the sweetness of the Peach plays really well with the spiciness of the Chilli and do enjoy the combination. I do find that it has more heat to it then flavour and I find the Peach taste is not as strong as I like. I do love the way my mouth heats up on a cold day and I enjoy the feeling of my insides becoming toasty after eating this. Still I think this will be a Chutney that you will find in my fridge in the coming years. I&apos;m a huge fan of chutneys and relishes and have devoted the entire top shelf of my fridge to them. 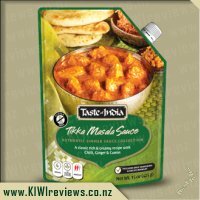 Whilst the supermarket has a great range these days, I find myself ending up with the same flavours which can get a bit boring, so I love to try out new flavours when I can. Therefore when I saw these quality relishes up for review, I was super excited and couldn&apos;t wait to dig in! This chilli peach one appealed the most and I was keen to break into it immediately. I happened to be serving home-made pork pies on the day I received the relish, so decided it would be nice to serve on the side. The fruity nature of it went perfectly with the pork and it gave a great lift to a simple meal. I have to say it was a bit spicy for my husband but perfect for me, so I&apos;d label this a medium level spice. The chutney itself is full of chunky fruits and vegetables and you can tell it&apos;s good quality just by looking at it. 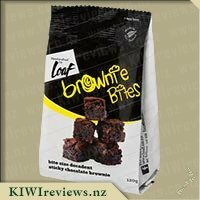 The flavour doesn&apos;t hold back and provides a burst of heat and the spices linger in the mouth. The ingredients list brown sugar and cinnamon and I can definitely pick these flavours as dominant (with the chilli). 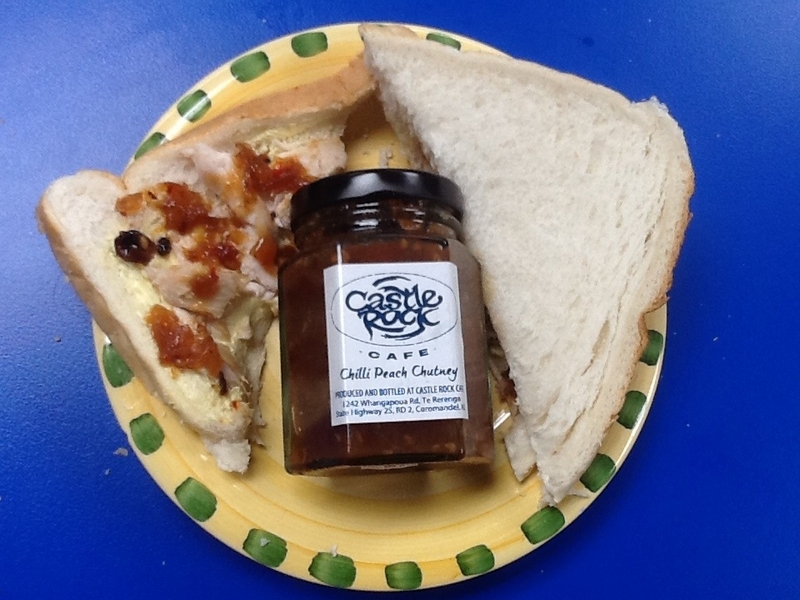 After the pork pies, I couldn&apos;t wait to try this chutney in other ways and so my work lunches all week have consisted of savoury muffin splits with this chutney and cheese on them. It has been so easy to keep this jar at work and cook a delicious lunch quickly and easily each day. I&apos;ve also tried this served up with quiche - perfect for adding a bit of a lift to the meal. 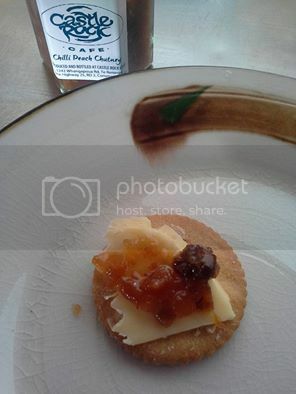 If I was serving a cheese platter, I wouldn&apos;t hesitate to add this chutney on the side as I can see it working well with cheese and adding a touch of elegance. Although this level of spice wouldn&apos;t be for everyone, I really can&apos;t get enough of this and would serve it up with everything if I could. I&apos;m hoping to track down some more soon as this jar won&apos;t be lasting too long! 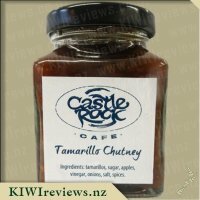 I highly recommend this to anyone looking for a good quality chutney that&apos;s just a little bit different... as long as you don&apos;t mind a bit of spice! 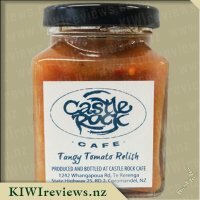 I love the idea of condiments but have a terrible habit of buying them using them once or twice and then throwing the jar out about a year later so I liked the look of these Castle Rock Cafe chutneys as the jars are very small and a realistic amount for me to get through before it goes moldy! Taste wise I wasn&apos;t sure how this would be with the chilli but I love peaches so I was expecting to really like the taste of this. I tried this firstly with a cheese sandwich but the chilli was a little overpowering for me. I then added to a bacon and egg pie to give a little bit of a kick. I must say it kind of changed my enjoyment of my dinner as the chilli flavour was really not to my liking. I have to say my favourite part of this chutney was picking out the raisins and just eating them as they were very moist. The chilli flavor was a little too tongue burning for me and I didn&apos;t like how the tip of my tongue felt after eating this. I think that if I could tolerate a strong chilli flavor I may have enjoyed this more so this is a bit more a lack of personal preference for the chilli flavor as opposed to the quality of the product but I also concerned about the labeling of this product. I have to admit that the word chilli would usually put me off trying a food as I&apos;m not the biggest fan of foods which are extremely hot and spicy, however I have come to learn recently that the word chilli doesn&apos;t always mean that the food will be overwhelming spicy, infact I have had so many foods that contain chilli which I have been able to tolerate. 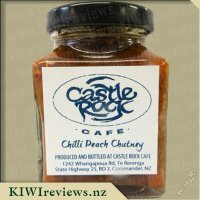 I decided to request this product in the hope that it to would be mild enough for me to handle, as I just loved the sound of a yummy peach flavoured chutney. Upon opening the small jar of chilli I was greeted by an aroma that was pleasantly fruity, yet full of flavorsome spices the smell of the chilli and cinnamon certainly stood out for me. The chutney seemed to be packed full of fruit and was very, very chunky with several huge pieces of peach intact, these were rather large and so I decided to cut them down into smaller pieces as the smaller sizing was going to more suited to my dishes which I wished to use the chilli peach chutney in. 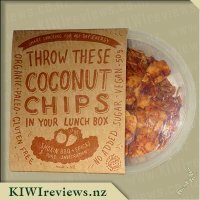 The funny thing was that I kept seeing what looked like raisins or sultanas mixed into the chutney and on taste they also tasted like these, however I believe they must have been pieces of peach perhaps as the ingredient list doesn&apos;t mention either of these 2 foods anywhere! I tasted a small amount on a teaspoon straight from the jar, as did my mother in law who was visiting at the time, and at first I said to her after trying my teaspoon of the chutney "it&apos;s not spicy at all" but within seconds of the taste settling in I was quickly reaching for a cup of water as it was far to spicy for me unfortunately, leaving tears running down my eyes and my head starting to sweat, mind you I am not the best at handling super spicy foods, which in my case is what I found this to be. My mother in law however enjoyed the taste especially the peach and onion combination though she said she would prefer a little less chilli in the mix. Although out spiced in my first taste I went on to use this chutney in other dishes as I thought perhaps been used alongside other ingredients may help diminish the chilli, I served it on crackers along with some cheese, and also used it as a sauce in some savoury scrolls which were combined with cheese, bacon and pineapple, and last but not least in some crispy chicken wraps for lunch. 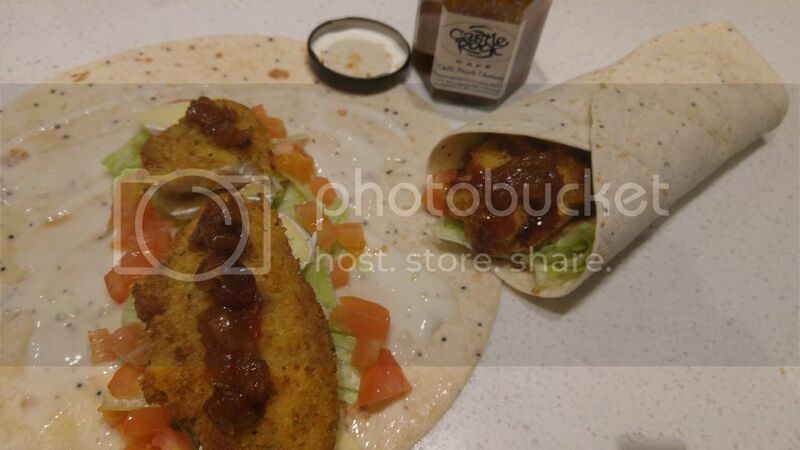 The wraps I must say were my preferred way to use the chutney as the combination of all of the other ingredients used, particularly the ranch sauce helped to mellow down the chilli levels a lot. 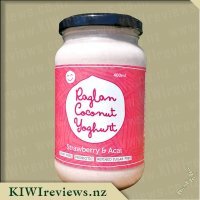 The jar is quite pricey at $6 I feel as it is relatively small, but in saying that you do need to take into mind that it is made with love in small batches so a quality over quantity product. 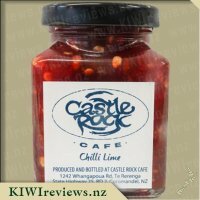 This isn&apos;t something I would personally buy myself due to the chilli factor but I&apos;m sure that there are many people out there who could handle the heat well and would love it. The word "chilli" on a food label used to mean that a product was so hot it would burn your mouth, but that is no longer the case - the chilli content of different spicy foods ranges in strength and it is a matter of trial and error to see which one is best. I thought I would be sparing the first time I tried this, but was quickly reassured that I could safely add twice the amount I had first estimated. After some experimenting, I decided that a teaspoonful was about right for a meat sandwich. I tried it with two different fillings, chicken and beef, and in my opinion you need roughly the same amount for both. 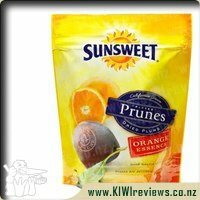 It was good to see that the manufacturers had not stinted on the fruit content. Most of my second spoonful (for the beef sandwich) consisted of a single piece of peach which was so big it needed to be cut in half! I suppose I should have been prepared for this as peach is the main ingredient in the chutney, but you don&apos;t usually get such satisfying lumps - usually they are mashed up and the individual flavours and textures are lost. I do think it is quite pricy. The jar is small, and the contents will not last long in my house because they are so delicious. It would be useful if the manufacturers were to make it in a bigger size as well which might work out to be more economical. Having said that, I am well set up for lunches for the rest of the week. And because it has a flavour similar to that of mango chutney, with a sweet aftertaste, I might try it with a curry as well. There are no artificial preservatives listed on the label; this again is a plus as it means the contents are all natural. 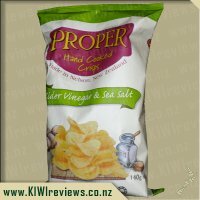 The combination of salt, sugar and cider vinegar should be more than enough to ensure its shelf life. The Best Before indicator is for December 2017, which means an excellent projected shelf life. 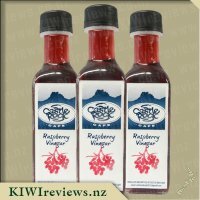 Having tried this variety, I am now keen to try some of the other flavours in the range. I used to make my own chutneys, but with the range available these days and the high quality of many products, it is no longer worth it. Talofa! When it comes to fantasising about living the tropical island dream, we&apos;d say we&apos;re experts at that. There&apos;s not a minute that goes by where we&apos;re not thinking about our next big getaway to some remote beach. 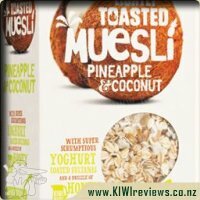 That&apos;s why we made our Lightly Toasted Pineapple & Coconut Muesli to remind us of all things sunny. It&apos;s the flavour of the islands in your bowl. But without the little bits of sand.